Debbie’s presentation was followed by Margaret’s latest works. 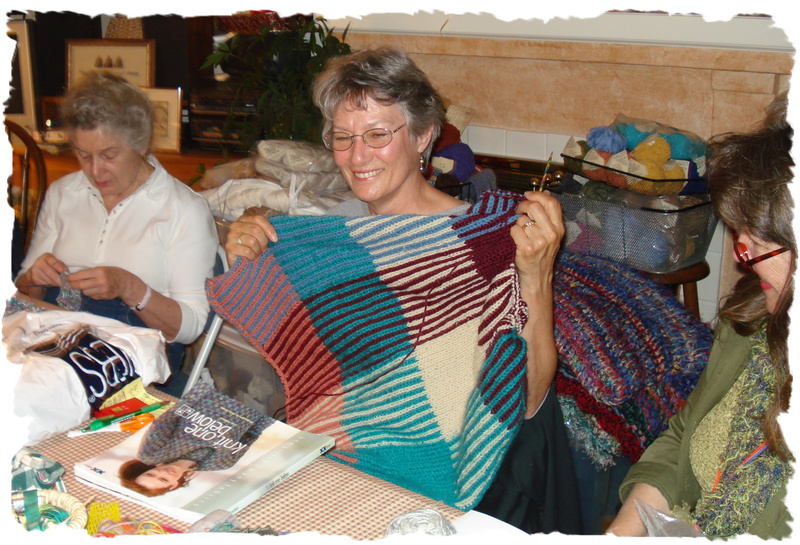 She has been inspired by the book One Stitch Below by Elise Duvekot – knitting lap blankets. 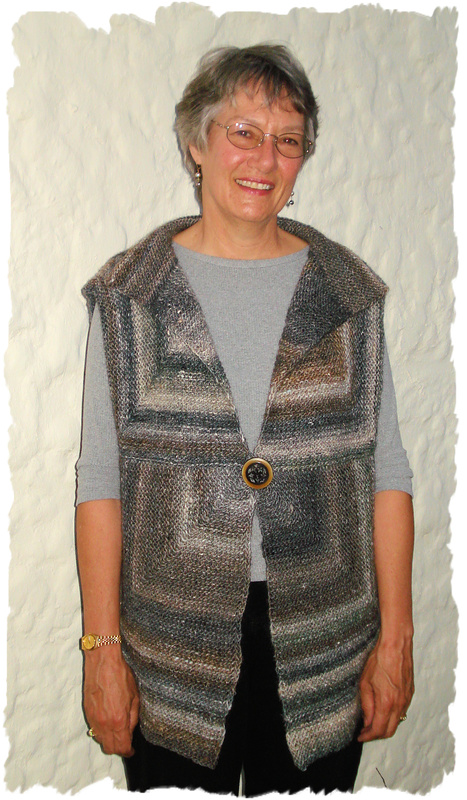 s She then showed us her Modular Garter-Stitch Vest which she knit in Noro’s Kureyon. 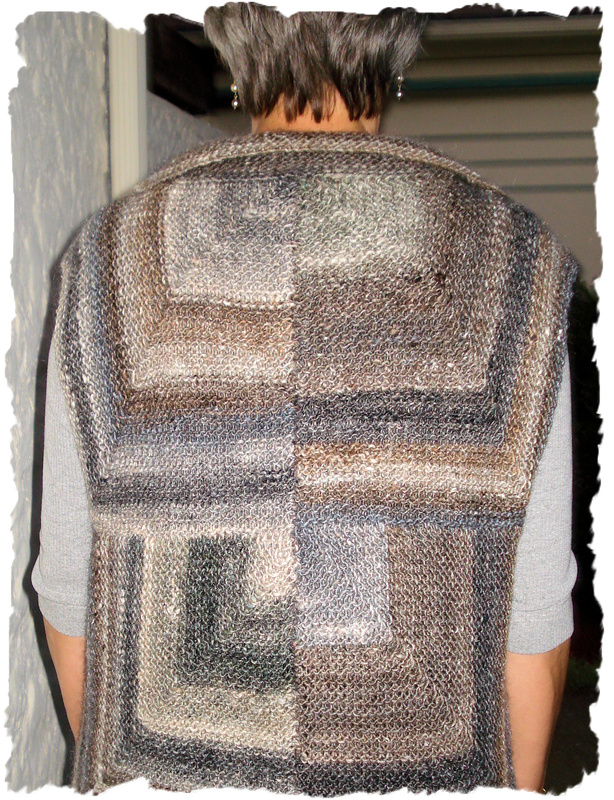 The pattern came from Top-Down Sweaters by Doreen L. Marquart. As always, Margaret did a wonderful job and it’s a stunning modular work of art.